This week we report on Sea Voyager Expeditions, a new expedition company that will offer departures to Colombia, Panama, Ecuador and Costa Rica. 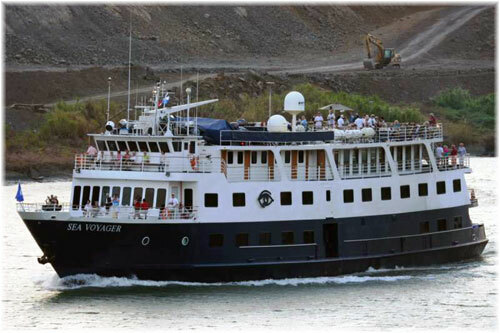 The ship they will be using is the 60-guest Sea Voyager, which once worked for Lindblad. Far from the tropics, in the Canadian Arctic, four ships will be offering transits of the Northwest Passage in 2013, but One Ocean Expeditions is planning to operate two such passages this summer between Kangerlussuaq and Coppermine, in the Canadian Arctic, with the Akademik Ioffe. And today The Cruise Examiner crosses the Atlantic to join the 105-year-old former Canadian Pacific passenger ship Keewatin for the last leg of her voyage back to her old base in Canada. New expedition cruise company Sea Voyager Expeditions Ltd of Nassau, has announced that it will operate to a new cruising area – with ten different itineraries through Colombia, Panama, Ecuador and Costa Rica. Guests will travel on the 1,195-ton expedition-style Sea Voyager, a ship that is perfect for exploring and has been completely renovated inside and out in the past year. To avoid confusion, this is not the ship of the same name that is operated by International Shipping Partners and was used in relief work in Haiti, but the one that was built by Chesapeake Shipbuilding in 1982 and operated originally for American Cruise Lines and later for Lindblad Expeditions. Denise Landau, company president and ceo, was for many years executive director of the International Association of Antarctica Tour Operators (IAATO). Sea Voyager Expeditions is backed by Colombia Ecoturismo, the ship’s long-time owner, whose own president is Capt Jorge Murillo, a one-time master of Windjammer Barefoot Cruises’ Amazing Grace, and by ceo David Hartman, a former director of Lindblad Expeditions. The Sea Voyager accommodates up to sixty travellers in thirty-one en suite outside staterooms. She also features a spacious lounge, full-service bar, dining room serving fresh produce, including locally-caught seafood, library with WiFi Internet access and fitness room with a view. Sea Voyager’s new natural history voyages will offer a rich tapestry of tropical landscapes, birds and animals that are found nowhere else on earth, as well as native cultures opening their villages to new friends. Opportunities to explore from the sea floor to the rainforest canopy are possible, with guidance from a team of experts. 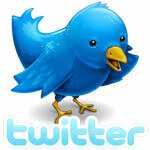 The company has recently published a 38-page brochure and updated its web site with further details. Most of Sea Voyager’s itineraries are unavailable through any other operator. Passengers visit quiet, remote, uninhabited coves and offshore villages, and have the opportunity to immerse themselves in the rainforest and ecosystems that teem with wildlife, many species of birds and plants, native monkeys and whales. Most of Sea Voyager’s itineraries also include a journey along the Panama Canal, one of the seven wonders of the modern world, or a tour of the locks, and arrangements can be made to visit post cruise to spend more time in this fascinating area. Depending on the itinerary, expeditions are accompanied by ornithologists, marine underwater specialists, naturalists and/or historians, who add their own knowledge to guided walks along rainforest trails, snorkelling expeditions, lectures and briefings. Guests can also choose from swimming and kayaking to hiking, or exploring bays and rivers by Zodiac inflatable, or just relax on board or on one of the many stunning tropical beach locations these cruises visit. Panama alone has about 10,000 varieties of plants, 1,500 species of trees and more than 1,000 species of birds. From mangrove forest to coral reefs as well as offshore islands there is much to see. Voyages begin in August 2012 and range from 9 to 13 days in length. Bookings bring savings of $1,000 per couple if made before the end of October, with prices starting at $2,850 per person for the 7-night “Caribbean Gems of Panama & Colombia” departure in May 2013, and the 8-night “Mountains, Deserts & Corals of Caribbean Colombia” cruise departing in May, June and July 2013. As with other expedition and adventure type voyages, shore excursions and expedition landings are included in the fare. In January, we reported that three ships would be doing the full Northwest Passage in 2013, one voyage each being made by Hapag-Lloyd Cruises’ Bremen and Hanseatic, travelling in opposite directions, and a third, first-time, transit by Compagnie du Ponant’s newest ship, Le Soléal. These ships all operate between the Atlantic, in Greenland, and the Pacific, in either Alaska or Russia. However, this summer, another operator, Canadian-based One Ocean Expeditions, is also offering a double transit of the Northwest Passage with its 96-berth Akademik Ioffe turning around at Coppermine, a settlement of 1,450 souls lying in Coronation Gulf in the Canadian Arctic territory of Nunavut. One Ocean notes that while the history of the 300-year search for the Northwest Passage is well documented, travellers may be less aware of the huge variety of wildlife in the form of marine mammals, polar bears and wildfowl. According to Aaron Lawton, expedition leader with One Ocean Expeditions, it is possible to be overwhelmed by the sheer numbers of marine mammals, polar bears and birdlife that appear during such a voyage. Using zodiac inflatables with the quietest of engines travelling upwind of a polar bear it is also possible to get safely within metres of these beautiful creatures as they stroll the shoreline. And, with a chance of seeing pods of beluga or bowhead whales, a raft of ringed, harp or bearded seals, a herd of walrus and staggering numbers of birds, many with chicks in various stages of fledgling, the Northwest Passage can be a wildlife experience to remember. Facilities on board the Akademik Ioffe include a bar and lounge, a library and media room, plus a theatre-style presentation room, gift-shop and wellness centre with massage, sauna and hot tub, as well as a dining room serving sumptuous meals throughout the voyage. Additional highlights of the 14-night trip, which travels between Kangerlussuaq, Greenland, and Coppermine, Canada, include majestic, steep-sided fjords and massive tabular icebergs, the chance to visit remote Inuit communities and meet traditional Greenlandic kayakers and opportunities for hiking, kayaking, photography and birding expeditions in the company of expert guides. 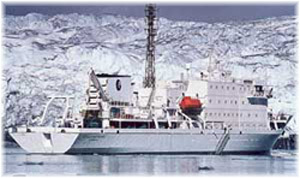 One Ocean is offering the choice of two 14-night transits of the Northwest Passage in 2012, with departures on August 12 from Kangerlussuaq, sailing west to Coppermine, and August 26 in the reverse direction from Coppermine. Fares start at $7,590 per person triple share and from $10,990 per person for a private twin stateroom. 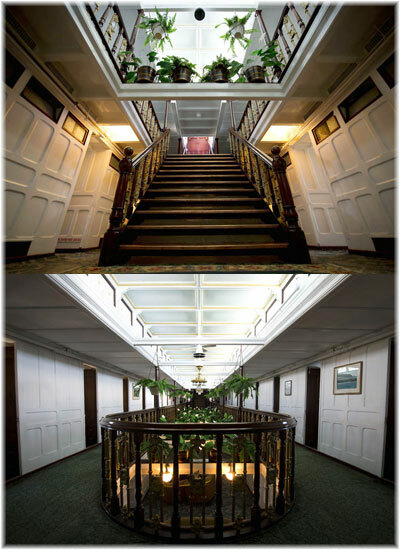 Suites and superior staterooms are also available from $11,990 to $13,990 per person. Kayaking excursions cost $695 per person. Fares include return transfers between Kangerlussuaq and Coppermine (Kugluktuk) airports and the ship, all meals and accommodation and all zodiac excursions. 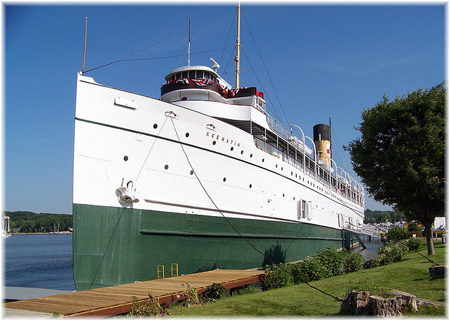 I have been commenting from time to time recently on the s.s. Keewatin‘s voyage from Douglas, Michigan, on Lake Michigan, to Port McNicoll, Ontario, on Georgian Bay. Tomorrow, at the invitation of former Keewatin crew member and project manager Eric Conroy, I will be joining this historic ship for the final leg of her journey back to Canada. Eric and I both started our careers as 17-year-old student waiters on these ships, he on Keewatin and I on sister ship Assiniboia. Conroy, who worked two summers on the Keewatin and wrote a book about it called “A Steak in the Drawer” (from ordering an extra steak and putting it in a drawer for later consumption), has been in charge of this project. This involved purchasing the 3,886-ton vessel, the last surviving Canadian Pacific passenger ship and possibly the last surviving Edwardian liner in the world, and bringing her home to Canada. In November, the firm that engaged him, Skyline International Development Inc of Toronto, purchased the 105-year-old Clyde-built ship and after having dredged the harbour at Douglas, Michigan, where she had been used as a museum, at a cost of $1 million, to release her, had her towed to Mackinaw City, from where she will sail tomorrow. All of this has been made possible by Skyline International and its ceo Gil Blutrich, whose vision has brought this about. Today I cross the Atlantic to join the ship as one of five riding crew, five sailors, a cook and a cameraman, for the final leg of her tow to Port McNicoll, her base for several decades. There, the Keewatin will become the centrepiece of a new waterfront park and part of a new resort community being developed by Skyline International, who also own the King Edward, Cosmopolitan and Pantages Hotels in Toronto and a number of Ontario resorts. So readers can look forward to a full report on this homecoming next week. The subject of repatriating this 105-year-old cruise ship to Canada, brings to mind the cruising history of Canadian Pacific, whose Empresses, Duchesses and Princesses operated so many early cruises. Canadian Pacific, one of the early lines to go into cruising, offered a world cruise every year in the 1920s and 1930s, when the St Lawrence River was closed by ice, as well as cruises between Montreal and New York, to Bermuda, to Alaska, to the Mediterranean and to the West Indies, not to mention the Great Lakes.